Private clinical practice in General Cardiology, diagnosing and treating heart disease, including echocardiography. 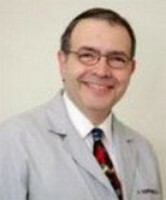 Dr. Koenigsberg provides medical record review, both plaintiff and defense, and expert witness testimony. 1980 - 1986	Training of Northwestern University Cardiology Fellows in Catherization Laboratory, V.A. •	Koenigsberg, D.I., and Koenigsberg, J.: My Heart Diary, Chicago, 2012. •	Koenigsberg, D.I., and Ganote, C.: Anatomy of the Heart as Related to Two-Dimensional Echocardiography. In: The Workbook of Cardiac Ultrasound (Ch. 2), Ed., Talano, J.V., Grune & Stratton, New York, 1982, pp. 23-46. •	Askenazi, J., Koenigsberg, D.I., Ziegler, J.H., and Lesch, M.: Echocardiographic Estimates of Pulmonary Artery Wedge Pressure. New England Journal of Medicine 305:1566-1568, 1981. •	Koenigsberg, D.I., and Ganote, C.: Anatomy of the Heart. In: Textbook of Two-Dimensional Echocardiography (Ch. 2) Ed., Talano, J.V., and Gardin, J.M., Grune & Stratton, New York, 1983, pp. 27-54. •	Askenazi, J., Koenigsberg, D., Ribner, J.S., Plucinski, D., Silverman, I.M., and Lesch, M.: A Prospective Study Comparing Different Echocardiographic Measurements of Pulmonary Capillary Pressure in Patients with Organic Heart Disease Other Than Mitral Stenosis. Journal American College of Cardiology. 2:919-925, 1983. •	Askenazi, J., Alexander, J., Koenigsberg, D., Belic, N., and Lesch, M.: Alteration of Left Ventricular Performance by Left Bundle Branch Block Simulated with Atrioventricular Sequential Pacing. American Journal of Cardiology. •	Koenigsberg, D.I., Lesch, M., and Askenazi, J.: Noninvasive Assessment of Cardiovascular Function in Pregnancy. Gynecology & Obstetrics. 51: (Vol. 3/Ch. 9): 1-19, 1986. •	Riedy, K., Fischer, M.R., Belic, N., Koenigsberg, D.I. : MR Imaging of Myocardial Sarcoidosis. American Journal of Radiology. 151:915-816, 1988. •	Askenazi, J., Alexander, J., Koenigsberg, D., and Lesch, M.: Alterations of Left Ventricular Performance During Atrioventricular Sequential Pacing Induced Left Bundle Branch Block. PACEM March 1982. Presenting 3rd Annual Meeting North Am Society of Pacing and Electrophysiology. •	Askenazi, J., Ziegler, J., Koenigsberg, D., and Lesch, M.: Echocardiographic Estimates of LVEDP. Letter to the Editor. New England Journal of Medicine. Vol. 307:188-189, 1982. •	Askenazi, M., Koenigsberg, D.I., and Lesch, M.: Echocardiographic Estimates of Pulmonary Artery Wedge Pressure. New England Journal of Medicine. 307:1585, 1982 – Reply to the Editor. •	Hong, S.S., Askenazi, J., Ribner, J.S., Koenigsberg, D.I., and Lesch, M.: Effects of Intravenous Hydralazine on Left Ventricular Dynamics in Mitral Regurgitation. Chicago Cardiology Group Scientific Meeting, May 5, 1983. •	Koenigsberg, D.I., Belic, N., Hong, S.S., Elkin, H.K., Askenazi, J., and Lesch, M.: Simultaneous Atrial Pacing and Cold Pressor Test: An Alternative to Exercise Stress Test. European Heart Journal. Vol. 5 (Abstr. Suppl. 1): 1026, 1984. Presented 9th European Congress of Cardiology.